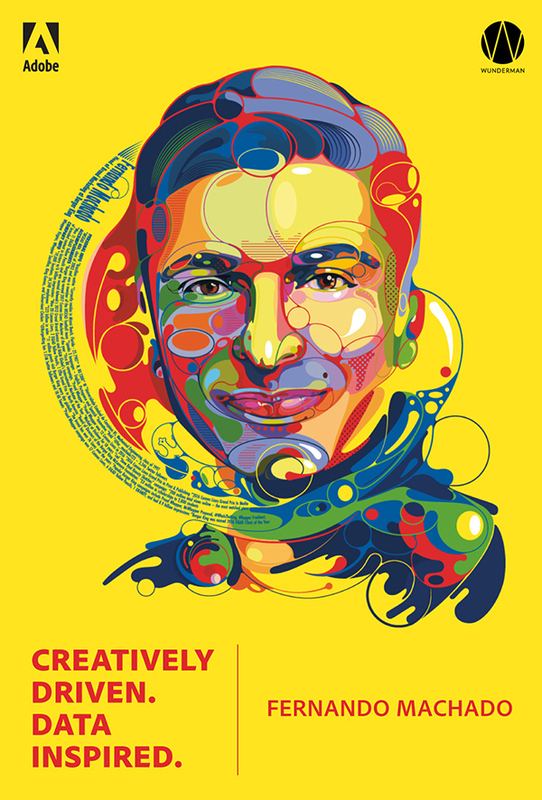 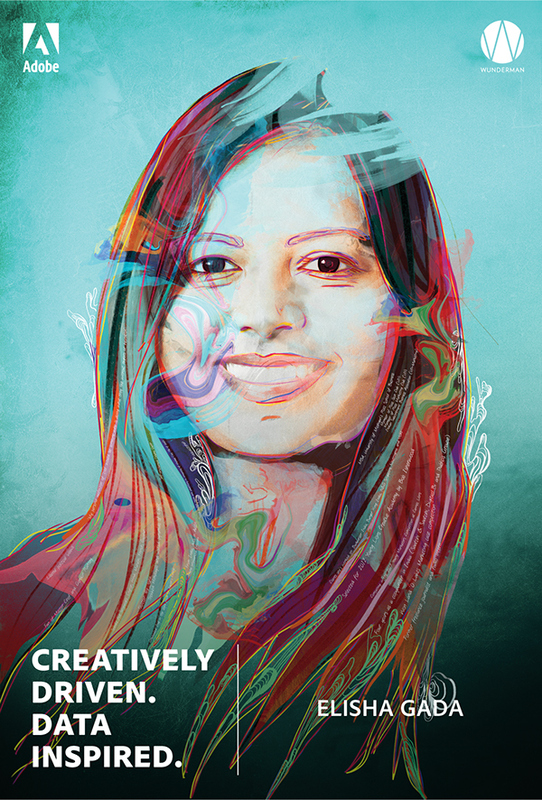 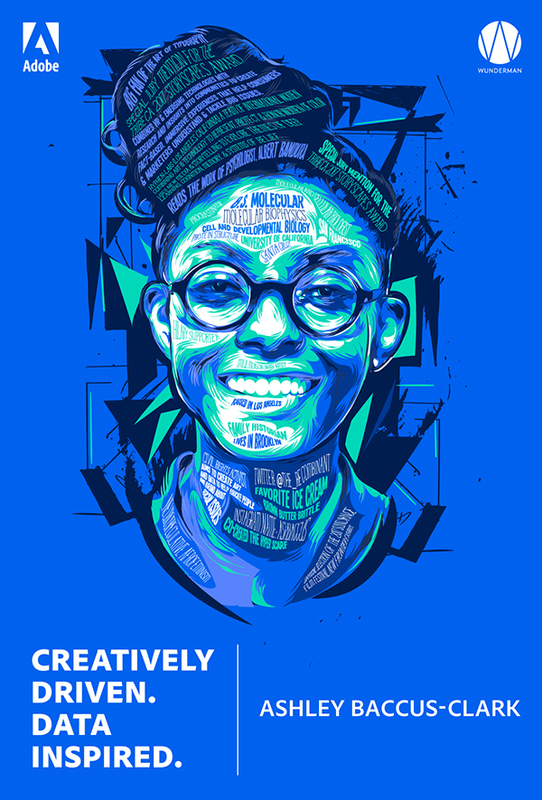 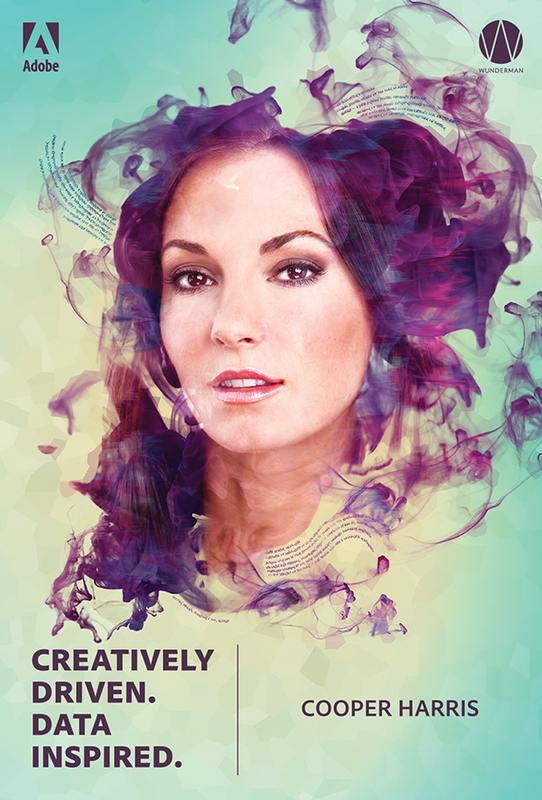 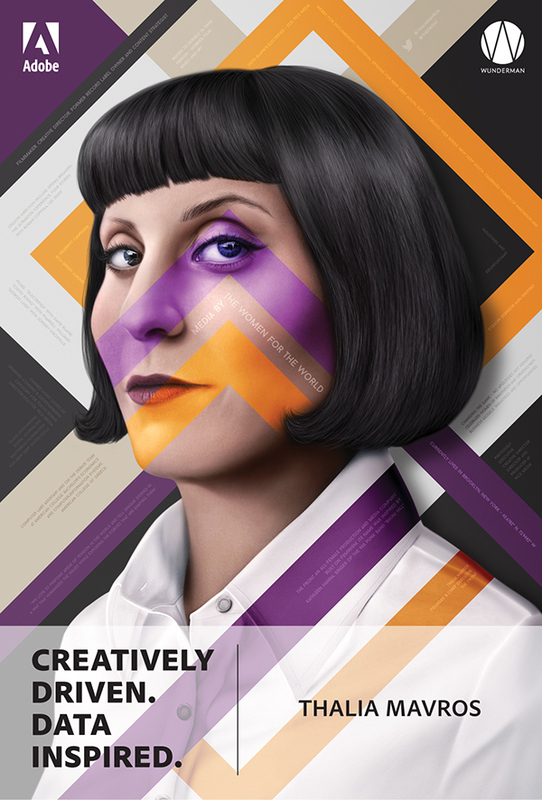 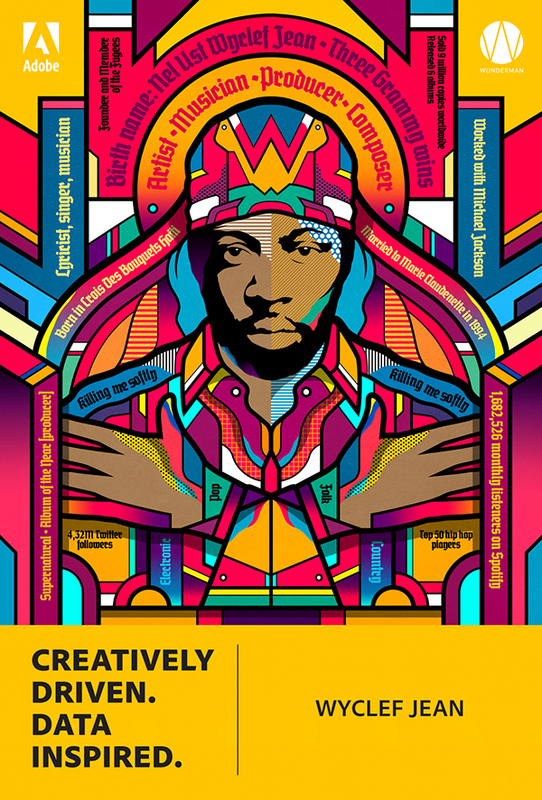 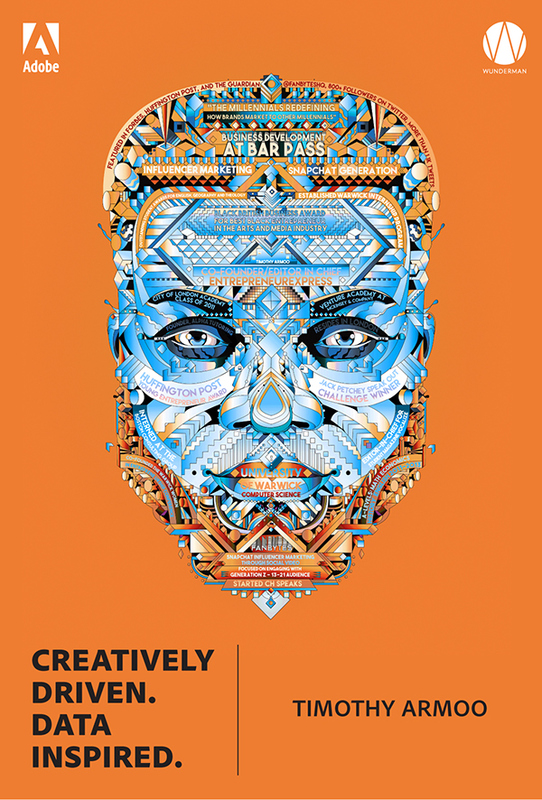 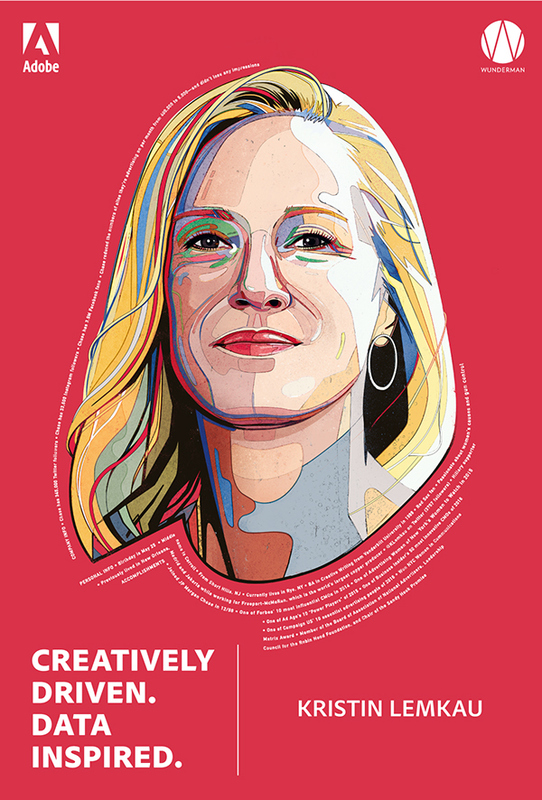 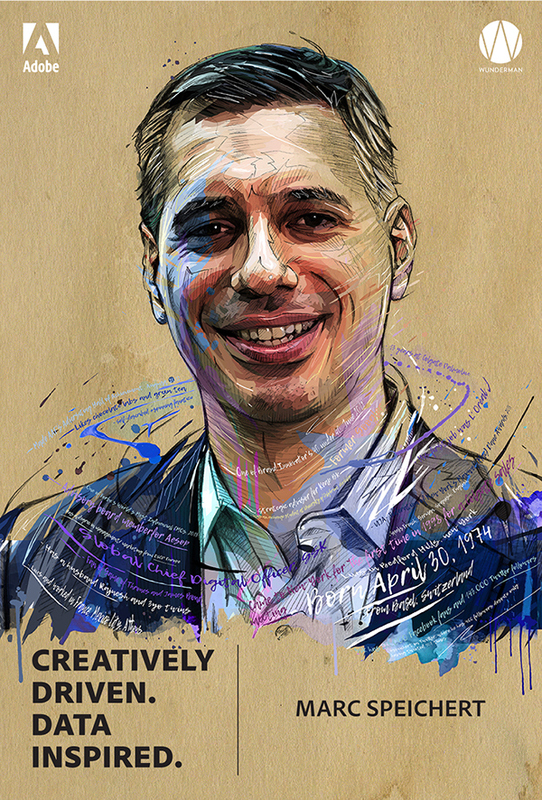 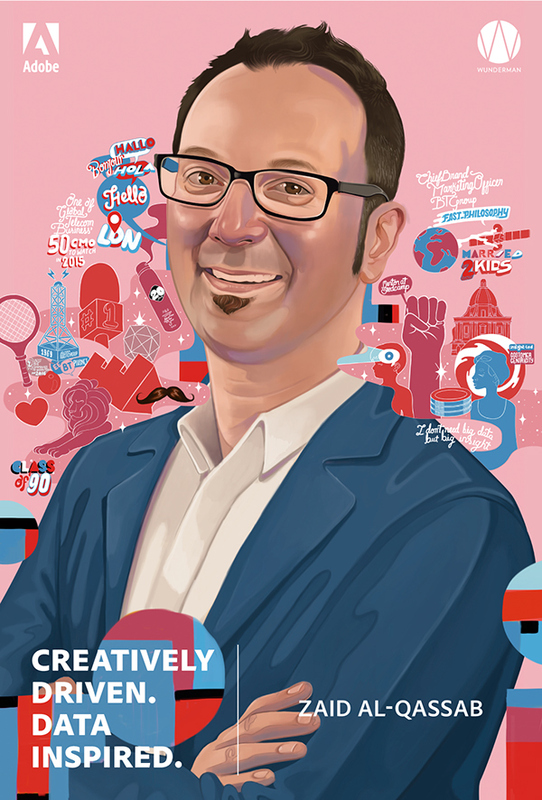 For 2017 Cannes Lions, Adobe and Wunderman teamed up to create ‘data portraits’ of industry leaders and influencers who best represent the mix of creativity and data. 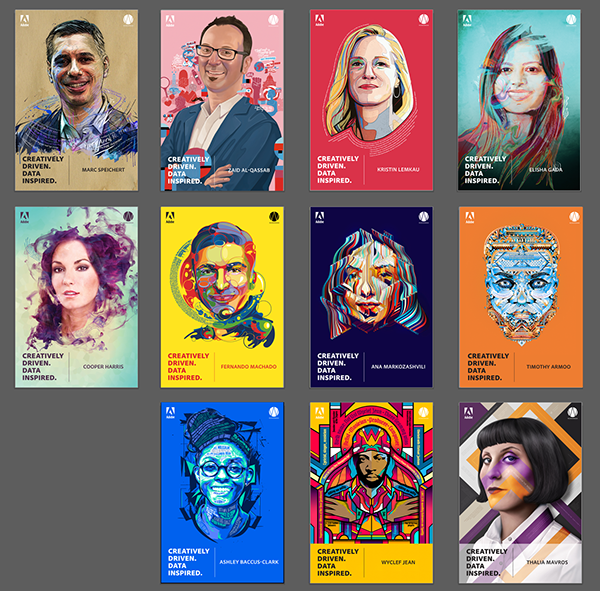 We handpicked eleven people and paired them with eleven artists, whom we challenged with creating a portrait while incorporating publicly available data that we’ve gathered for them about each person. 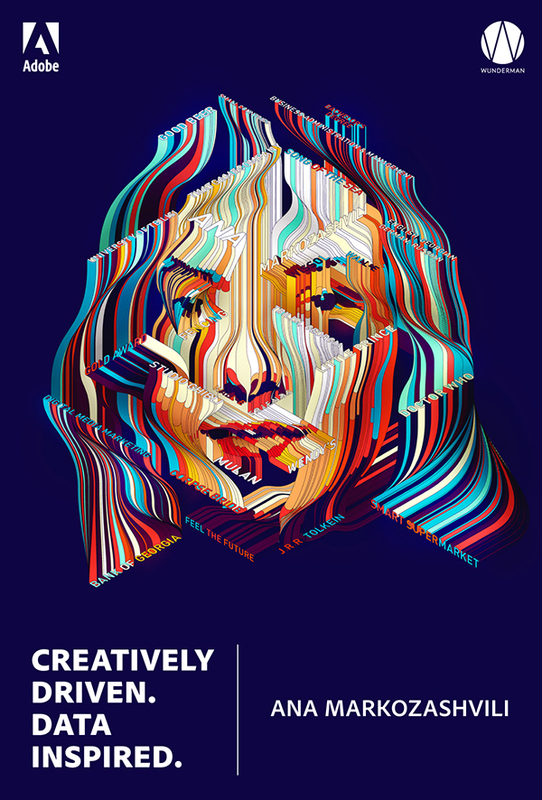 None of the artists had done anything like this before, so it was interesting to watch how each of them approached it. 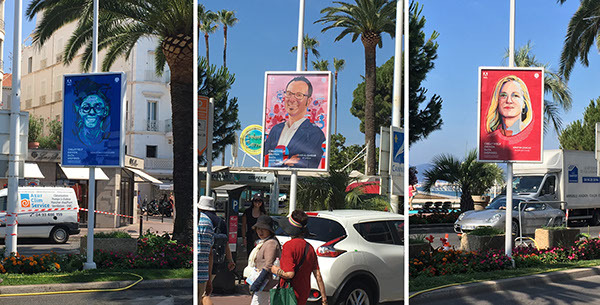 Here are some photos of the actual Croisette totem poles as well as few influencers in front of their portraits. 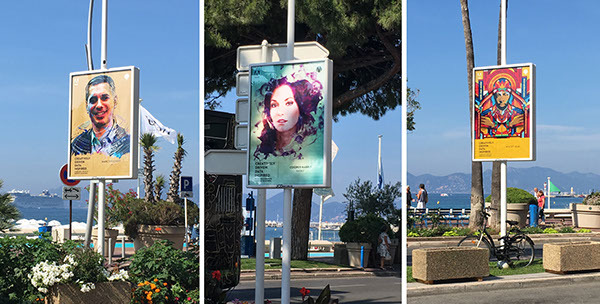 Cannes Lions 'data portraits' of influencers and industry leaders, who best represent the mix of creativity and data.